Sydney mum, Joanne Campbell, was desperate for help when she was unable to breastfeed her son Hayden, or feed him with formula. Hayden was born tongue-tied so he was unable to breastfeed, and formula caused stomach pains. 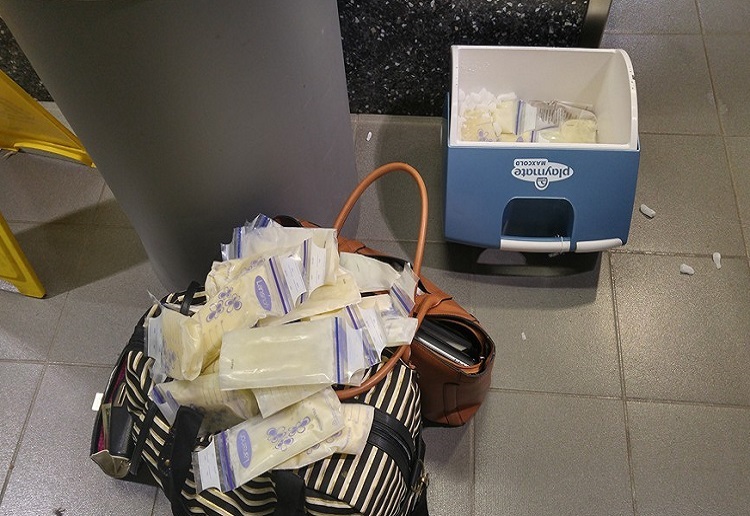 The desperate mum took to social media in a bid to find breast milk donors, and the response she received was overwhelming, shares Yahoo Lifestyle. “After writing my first post about needing milk for Hayden, I was inundated with messages from women who were willing to help,” she says. Would you happily donate to a mum in need? Yeah, I think testing s important – donors may not know the have a dangerous condition. Is feel a little funny giving away breast milk. Unless it was through a hospital or something. I feel like, if something went wrong with the baby, I could get blamed for something. And I wouldn’t feel comfortable taking it off strangers either. Maybe women I knew. I pump at least twice a day and have over 50, 150ml feeds in my freezer in a deep freeze. If a mother came to me in need I would happily donate some of my stash to her. However I do feel like there needs to be an easy way for mums to test donated breast milk to rule out the possibility of any dangers that may be unknowingly there. I’m glad these mums rallied to offer support when a family was in need. Using unscreened milk does not seem like a good idea – screening is done for a very good reason. I know a Mum whose very premature baby had to stay in NCIU for 3 weeks. She was producing more breastmilk than her baby needed. The hospital asked her if she would minding donating some of her breastmilk to be used for a very sick baby. The hospital supplied her with sterilised bottles to put it in. She refrigerated it overnight and took it to the hospital the next day when she visited her baby. The hospital tested the breastmilk before using it, both for her baby and other one it was given to. I thought there were breast milk banks where you could source milk from. Breastmilk banks are not common and they are usually for NICU babies. There are a lot of mothers who use the breastfeeding communities on Facebook for milk donations. So wonderful that she was helped. I would be seeking a second opinion on the tongue tie if it is restricting him that much with feeding! My oldest needed this when he was born but this was supplied through the hospital. Not too sure I would do this through strangers though. I would be wary of using breastmilk from someone I didn’t know. Mostly because you just don’t know what another person is putting into their body or the state of their health. This is my concern too – screening is done for a very good reason. I would be wary donating as I don’t think a child should be fed another woman’s breast milk. If it is not stored properly it could make the child sick. If the person has a “condition” they could also make them sick. But i think it’s great people were so generous. I could donate milk, but I don’t think I would want it for my child.